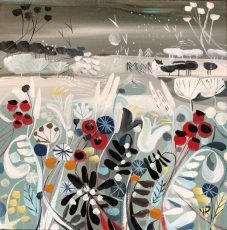 Natalie Rymer studied at Wimbledon School of Art in London, achieving a degree in Fine Art and Painting. 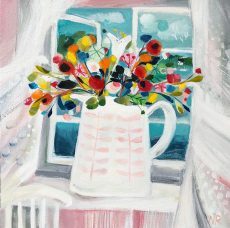 She now lives with her husband and two children on the borders of Kent and Sussex. 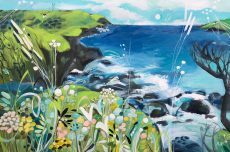 Her home is deep in the folds of rolling countryside and close to the coast, a location which informs her work. 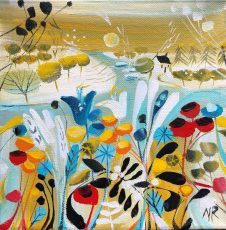 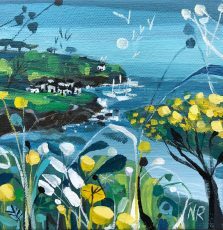 Natalie paints landscapes depicting the diversity and beauty of the English countryside. 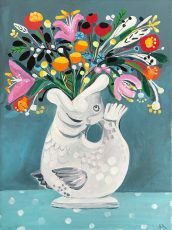 She draws influence from Matisse, Mary Fedden, Patrick Heron, Howard Hodgkin and her parents who are both artists. 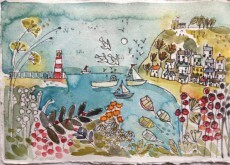 Bringing together these sources, she has developed an artistic vocabulary which is instantly recognisable as her own. 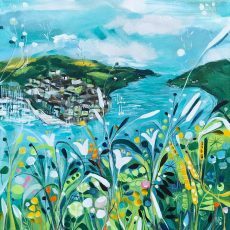 If you know Natalie’s work, you’ll be able to identify a painting of hers straight away. 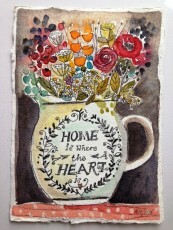 Natalie’s work is spontaneous. 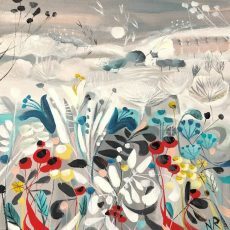 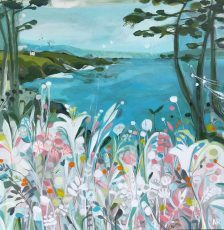 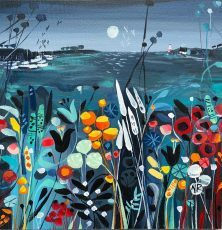 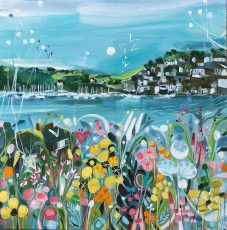 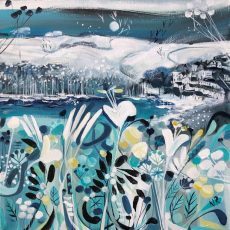 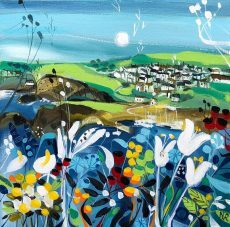 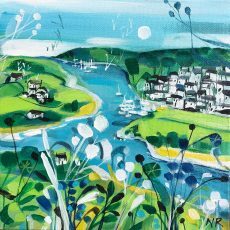 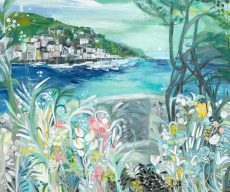 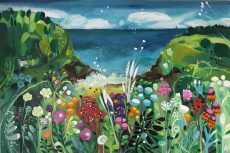 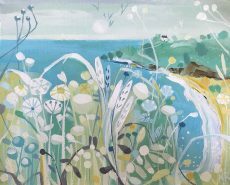 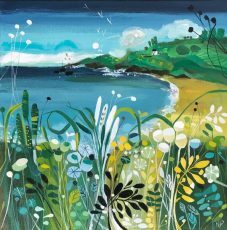 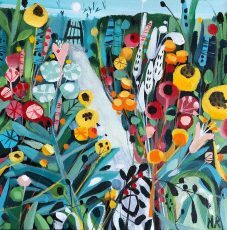 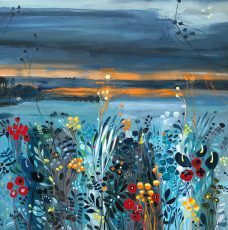 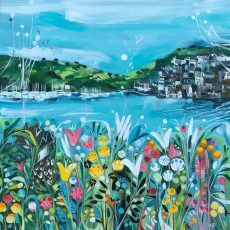 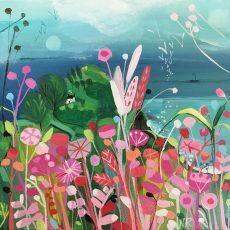 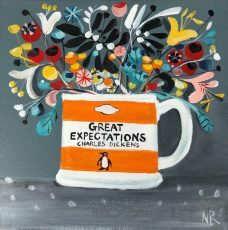 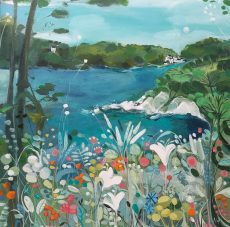 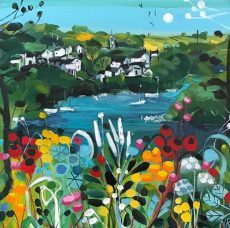 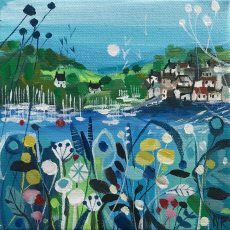 She works in either acrylic on canvas or watercolour on paper to create fresh, lively paintings with an illustrative feel. 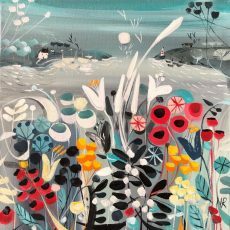 Natalie makes distinctive use of blocks of rich colour, patterns and shapes. 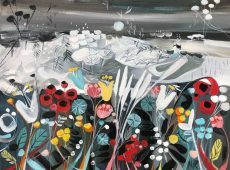 Her instinct for innovative design and composition shines through every painting. 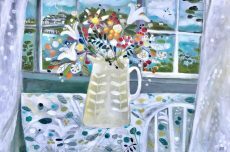 In each piece she invites the viewer to take a second look at everyday scenes and subjects. 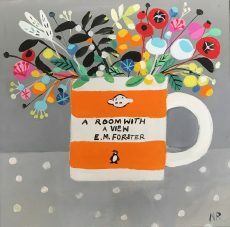 What at first may seem to be ordinary and familiar becomes both intriguing and engaging. 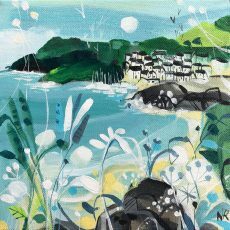 We love the fresh, contemporary style with which Natalie approaches familiar landscape subjects. 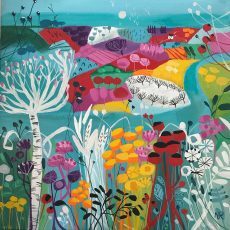 Once hung, Natalie’s work brings a bright, bold dash of colour to any interior. 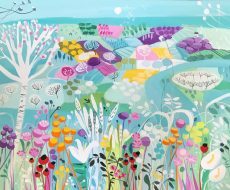 We show Natalie’s brilliant work all year around. 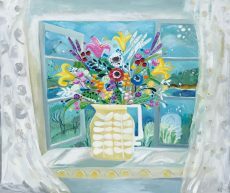 You’ll also regularly see her work in our group exhibitions.